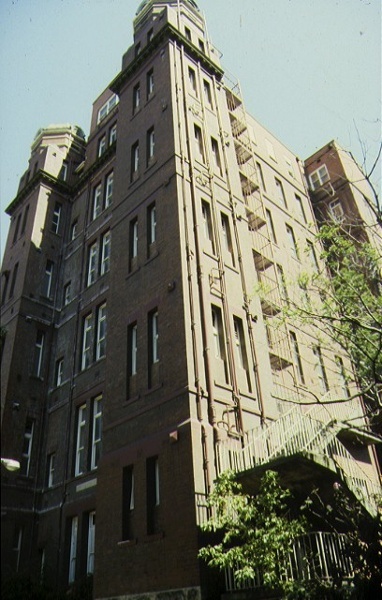 The former Queen Victoria Hospital Tower and perimeter fence are the last remaining remnants of a hospital complex that once occupied the entire block bounded by Lonsdale, Swanston, Little Lonsdale and Russell Streets. The Tower is a five storey red brick Edwardian building constructed in 1910 to a design by JJ and EJ Clark. The central part of the building features a rendered loggia on the second and third floors, surmounted by a balcony. The Tower is really one of several pavilions that once made up the hospital, and its central bay is itself flanked by two towers crowned with cupolas. An iron palisade fence on blue stone footings runs approximately three-quarters of the length of the Lonsdale Street frontage from Swanston Street and north along part of Swanston Street. Remnant sections of the bluestone base remain on all street frontages. The entrance fittings on Lonsdale Street are a significant reminder of the hospital's former grand scale. The former Queen Victoria Hospital Tower and perimeter fence are of architectural, historical and social significance. The former Queen Victoria Hospital Tower is of architectural significance as the only surviving remnant of the former Queen Victoria Hospital, once a substantial example of an Edwardian hospital. 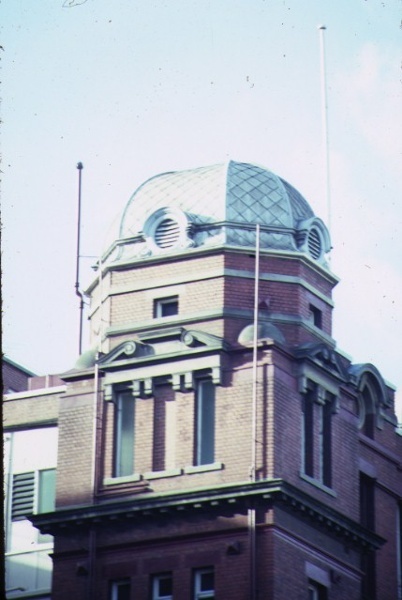 The hospital was considered to be the most advanced in Australia at the time of its construction, demonstrating innovative design whilst incorporating functional elements within a decorative exterior. 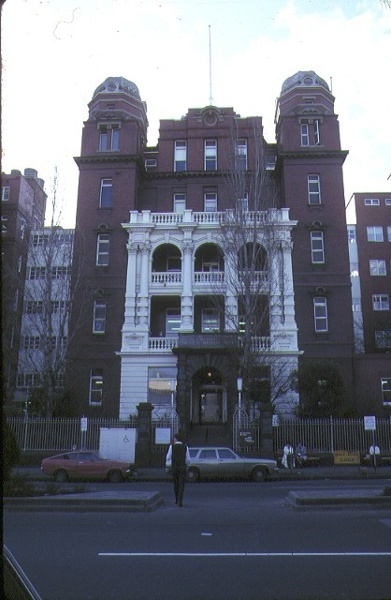 It was the largest Edwardian hospital in Victoria and designed along the well-established pavilion principles. The remaining multi-storey pavilion with its open balconies is representative of early 20th century attitudes to hospital design. The Tower and fence demonstrate what was once an extraordinary example of a hospital complex and continue to illustrate the work of JJ and EJ Clark, prominent architects who helped shape 19th and 20th century Melbourne through the Public Works Department. Although the hospital was completed after the death of JJ Clark, it was considered to be the culmination of his career and one of his most important works. 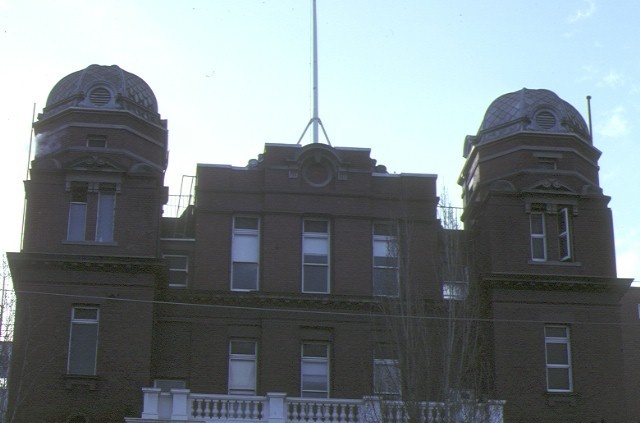 The former Queen Victoria Hospital Tower and perimeter fence are of historical significance for their long association with hospitals on the site and the history of medicine in Victoria. 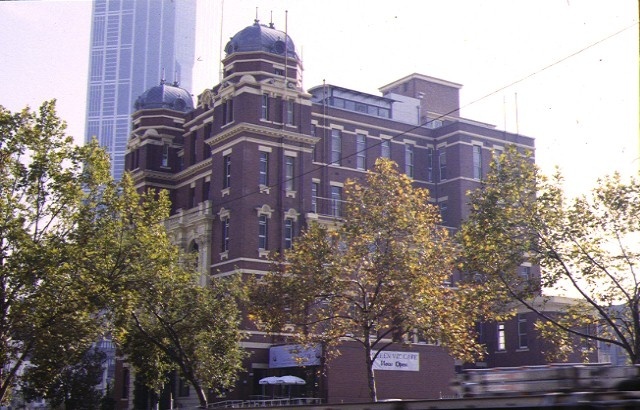 The site was first established as a hospital in 1846 when Melbourne's first public hospital was constructed. 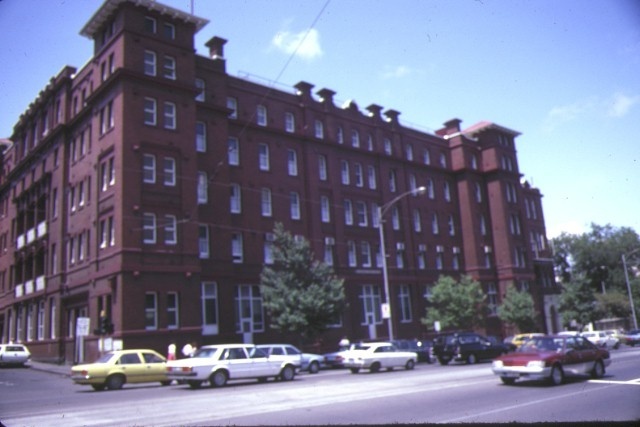 In 1910 the Melbourne Hospital was built on the site, possibly incorporating some of the earlier buildings. In 1944 the Melbourne Hospital ? then known as the Royal Melbourne Hospital ? was relocated to Parkville. 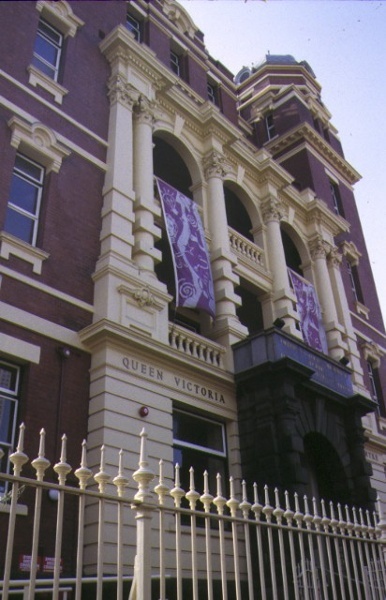 The Queen Victoria Memorial Hospital commenced operations on the site in 1946 and was established "by and for the women of Victoria". 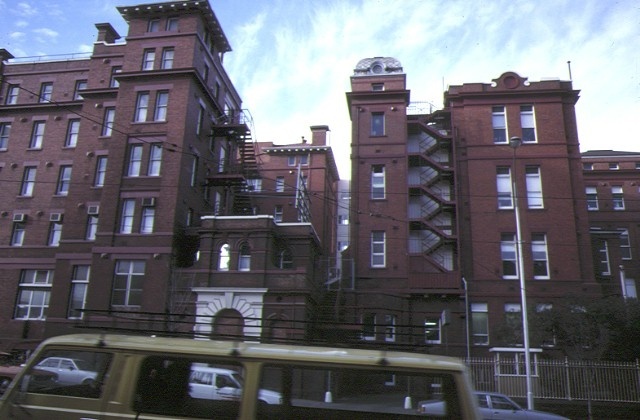 The remnants of the hospital are a reminder of the residential structure of Melbourne in the 19th century and first half of the 20th century. Many of the city?s large public hospitals, such as the Melbourne Hospital, were established at a time when the majority of the population lived close to the city centre, which was the focus of economic, political and social life. After WW2, the process of suburbanisation rapidly gathered pace, and the rationale for centrally-located hospitals disappeared, as eventually did some of the hospitals themselves. The former Queen Victoria Hospital Tower and perimeter fence are of social significance for their continuing association with medical facilities run for women by women for over forty years. 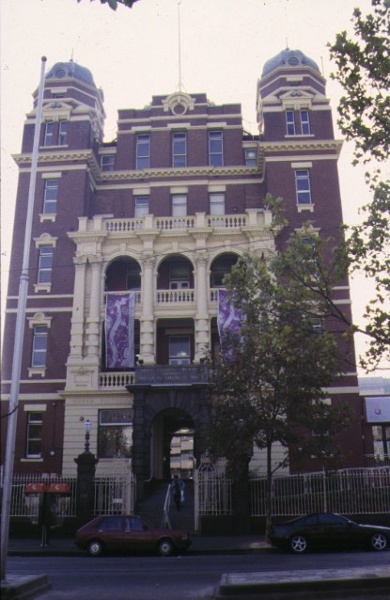 Former Queen Victoria Hospital Tower and Perimeter Fence, 172-254 Lonsdale Street, Melbourne, City of Melbourne. 1. 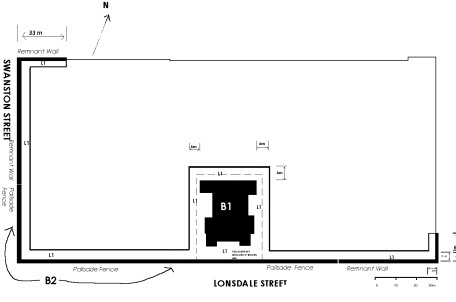 To the extent of all the buildings marked B1 (Tower) and B2 (Remnant Wall/Palisade Fence) on Diagram 602891 held by the Executive Director. 2. To the extent of all the land marked L1 on Diagram 602891 held by the Executive Director, being all of the land vested in the Queen Victoria Women's Centre Trust (in accordance with s.15 of the Queen Victoria Women's Centre Act 1994) and part of the land described in Certificates of Title Volume 10036 Folio 776, Volume 10036 Folio 784, Volume 10036 Folio 783, Volume 10036 Folio 781, Volume 10036 Folio 780. 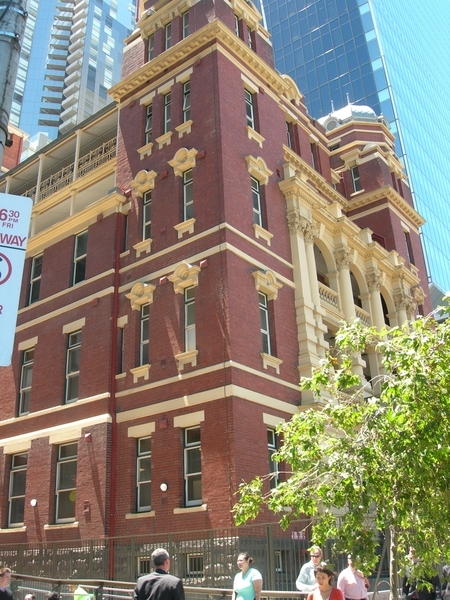 The Melbourne Hospital was established on this site in 1846. It was designed by Samuel Jackson and was set well back from the Lonsdale Street frontage in extensive gardens. By early in the 20th century, it was decided that the old hospital was no longer adequate and EJ and JJ Clark designed a new one, which was completed in 1912. It is unclear if any of Jackson's buildings were incorporated in the new hospital. The Queen Victoria Hospital was established in 1896 to provide a service to female patients by female doctors. Its first outpatient clinic was held at St David's Church Hall, LaTrobe Street. 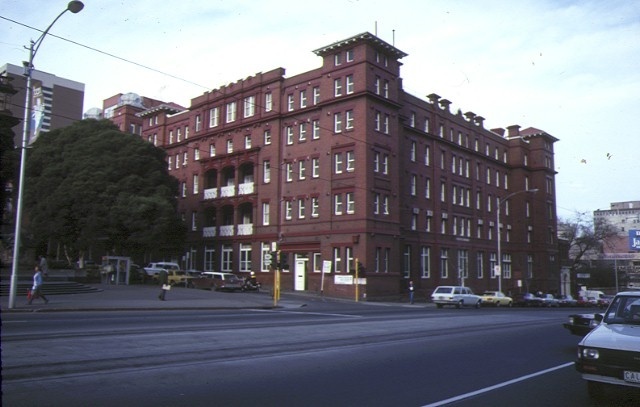 Later, the hospital moved to the old Governess Institute in Mint Place, off Little Lonsdale Street. The Queen Victoria Hospital took over the Melbourne Hospital site in 1946, when the Melbourne Hospital moved to Parkville. Most of the Queen Victoria Hospital was demolished in the 1980s and 1990s. the hanging of mirrors, paintings and other wall mounted artworks. mirrors, wall and floor coverings.